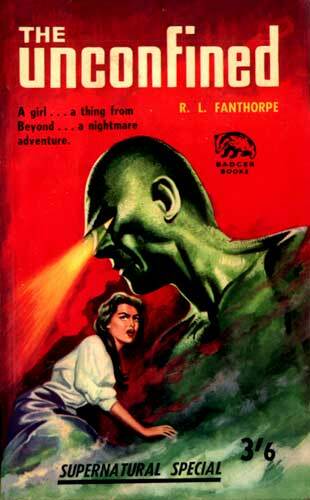 Having looked at a few US men's pulp magazines of late, it is worth noting that the UK had its own post-war pulp scene. Most of these were cheap publications taking the form of 'pocket books', printed on low quality paper and sporting some extremely crudely executed covers. 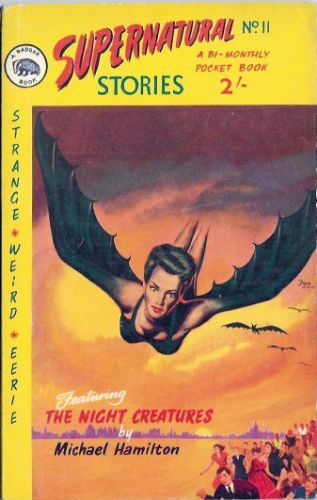 The above second issue of the Weird and Occult Library (which ran for three issues in 1960), is pretty much typical of these publications, which came from a variety of fly-by-night small press publishers such as Scion and Badger. 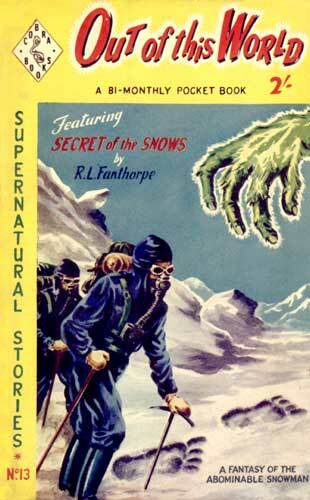 It is notable that no authors are accredited on the cover. Not that it would have mattered as nobody was likely to have heard of them, most being 'house names' associated with that particular publisher, each often used by multiple authors. Sometimes an entire issue might be written by a single writer, using multiple 'house names'. 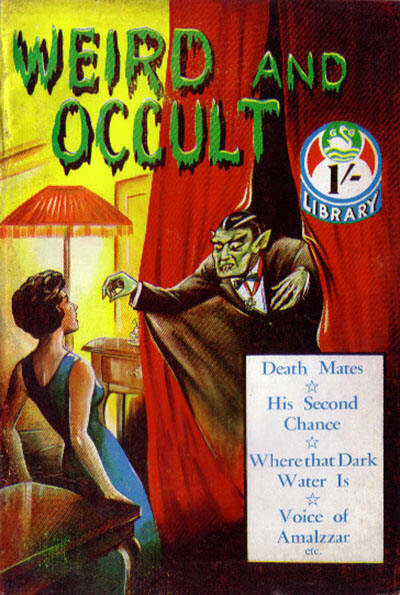 The Supernatural Special title seemed to be used on issues featuring a single novel-length story, whereas the reasons for the use of the Out of This World monicker seems less clear (to confuse the matter, there was an entirely separate publication using this title which ran for two issues in 1954-55, whether this was absorbed by Supernatural Stories or whether this was an attempt at product differentiation to give the impression of two different magazines appealing to slightly different audiences - the two titles alternated for a while in 1957-58 and the first appearance of Out of This World is uniquely attributed to 'Cobra Books' - isn't known. 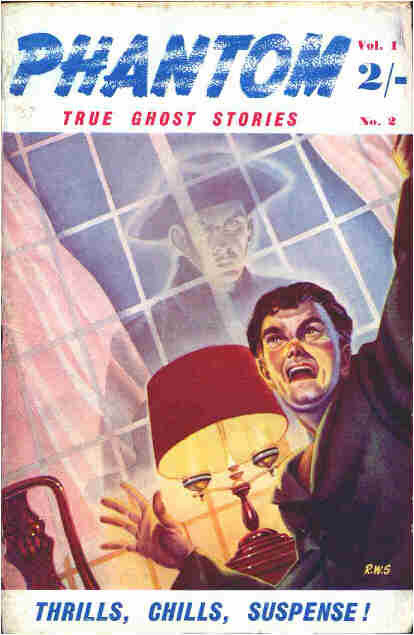 Regardless, it is notable that both of these editions of the variant titles carry stories by R L Fanthorpe who, under various names, including Bron Fane and Pel Torro, provided the lion's share of Badger Books' content, He's still around today, as the Reverend Lionel Fanthorpe, an ordained and practicing Church of Wales minister. 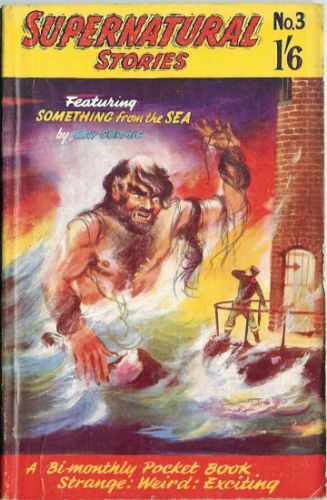 This bold claim was, however, quickly dropped, with the last few issues carrying the strap lines 'Weird Tales' or 'A Magazine of Weird Tales'. 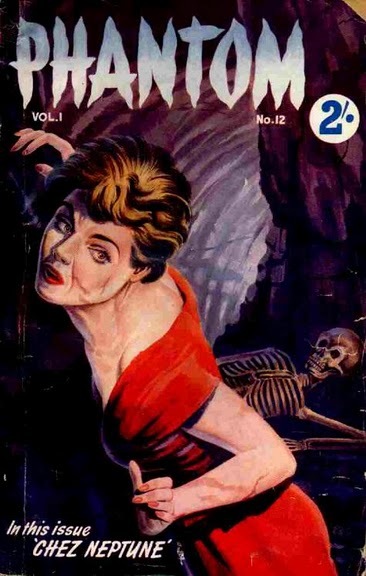 These late attempts to add an air of class were clearly unsuccessful as the magazine abruptly ended with issue sixteen.